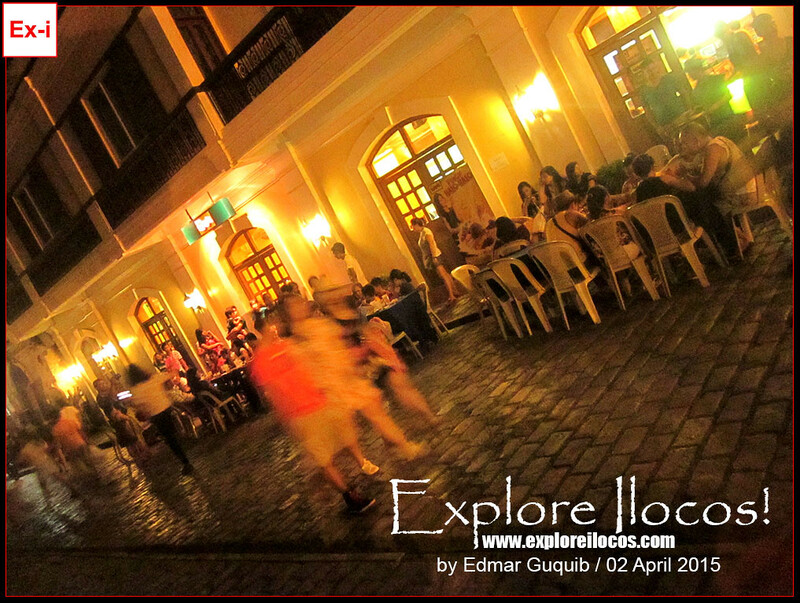 VIGAN CITY ▬ Holy Week in Vigan, like anywhere else in the Philippines, is one whole big reunion for every Bigueño. Due to the fame that this little city is gaining, bakasyonistas and the balikbayans bring their friends or group in tow (those wanting to tag along). 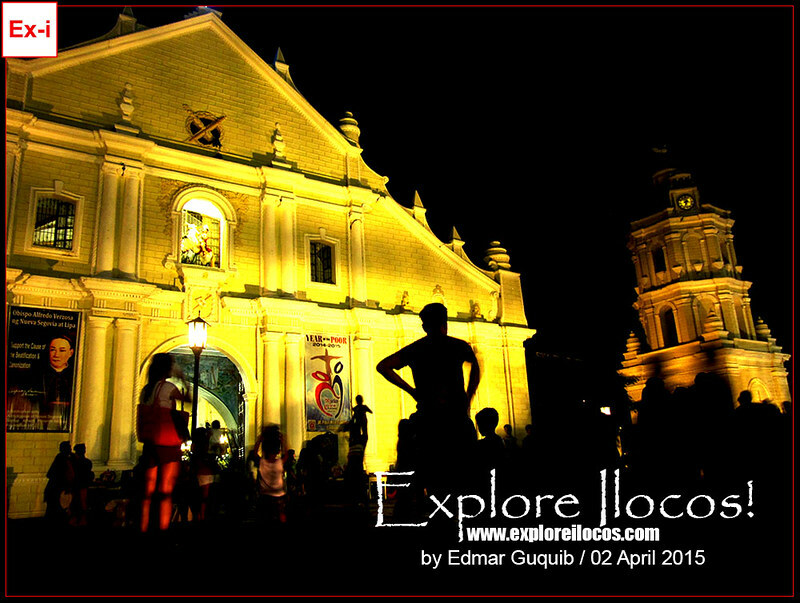 On a Huwebes Santo or Maundy Thursday, I visited the popular tourist destinations in Vigan to see what's going around. The city instantly became populous like a megalopolis. All restaurants of the tourist zones are fully-packed. The narrow historic streets are traffic-jammed. 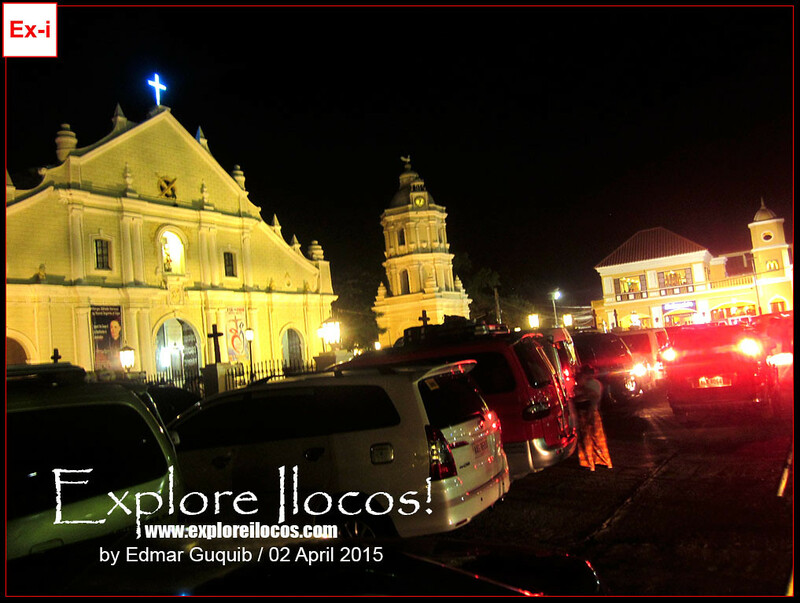 The main artery to Vigan has a long queue of SUVs, tour buses, tour vans and buses filled with eager travelers. 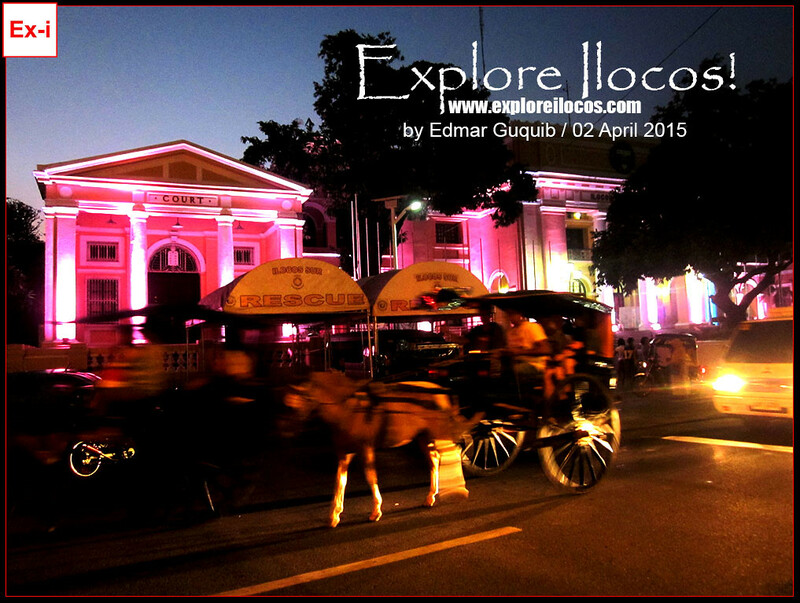 Quezon Avenue is the Central Business District of Vigan lined with major banking and commercial institutions. A traveler's agony starts upon entry of the Vigan-Bantay Road that eventually connects to Quezon Avenue. 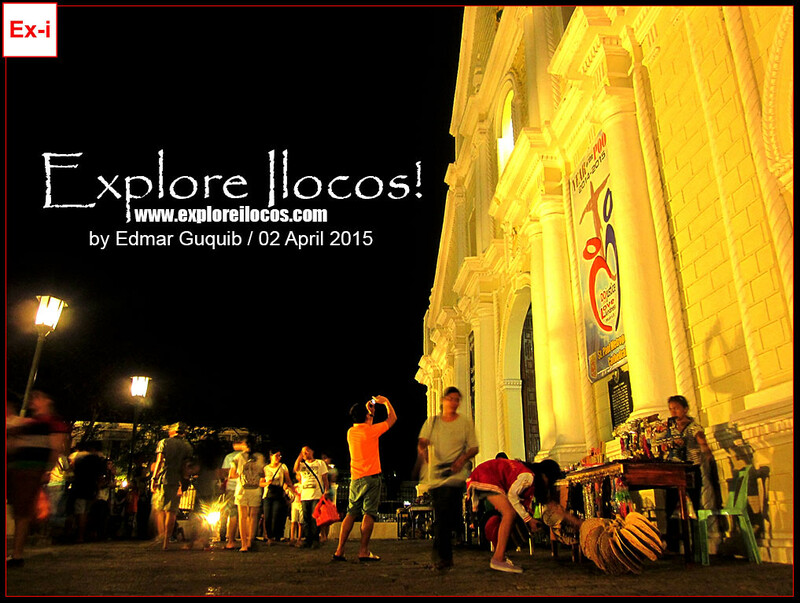 In front of the provincial capitol of Ilocos Sur is the Tianggehan sa Vigan, a perennial shopping mecca in Vigan. 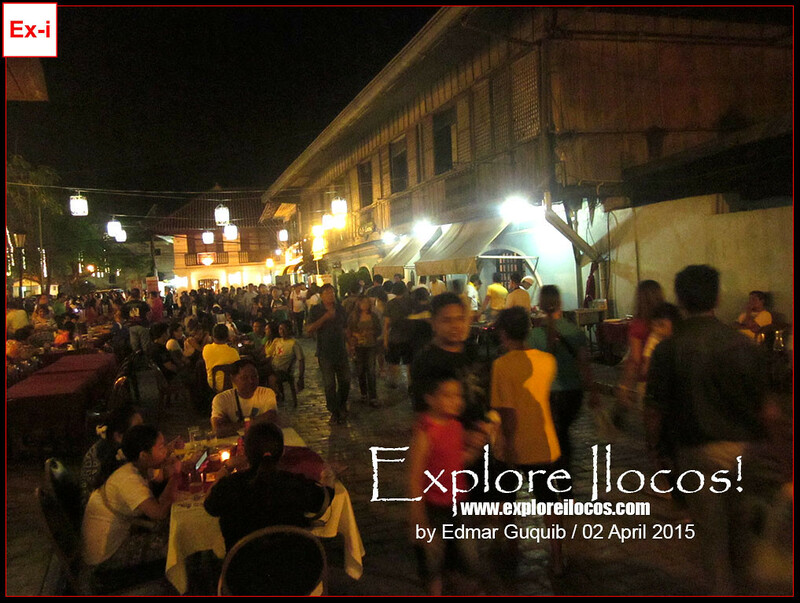 The big volume of shoppers contributes to Vigan's infamous holiday traffic stress. 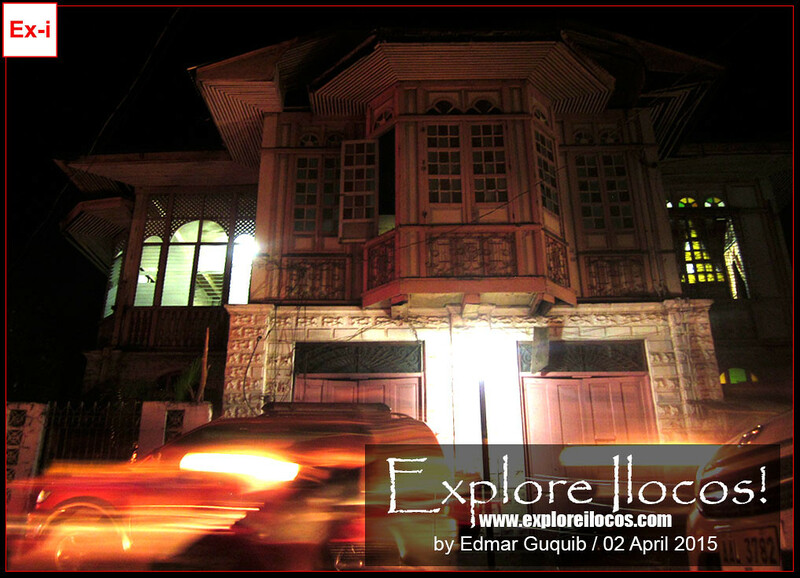 Use this part of Quezon Avenue on your way out of Vigan. Don't use this route when going to Calle Crisologo or the Vigan Cathedral because all streets are occupied by shopping stalls. 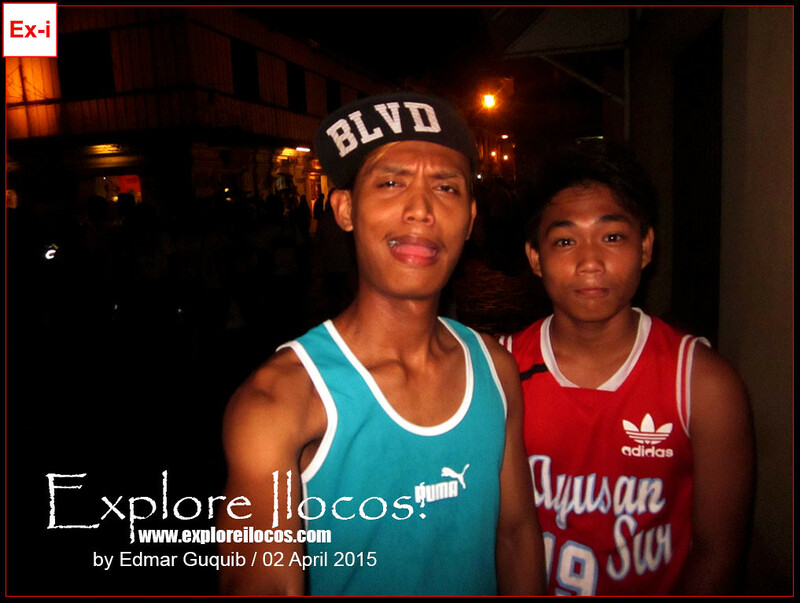 Turn eastward to Florentino Street instead. 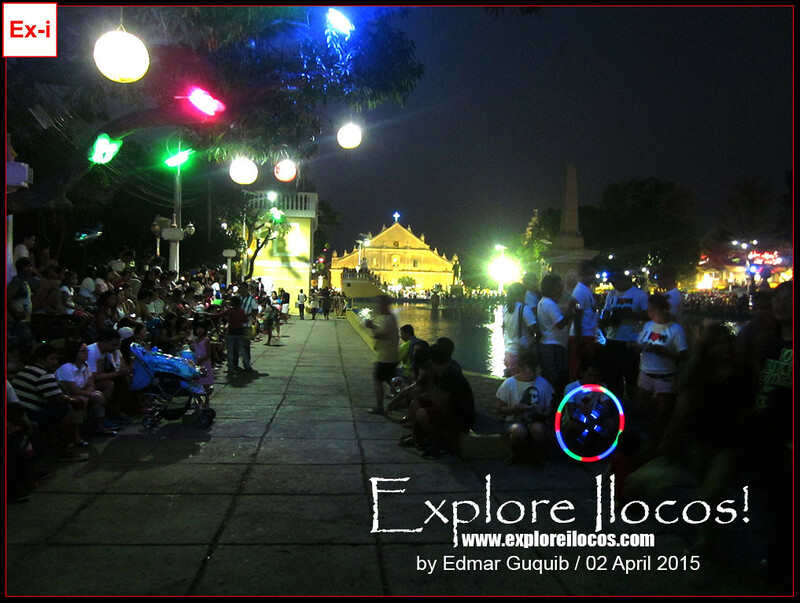 As always, Plaza Salcedo is a crowd-drawer due to the musical dancing fountain and LASER show. 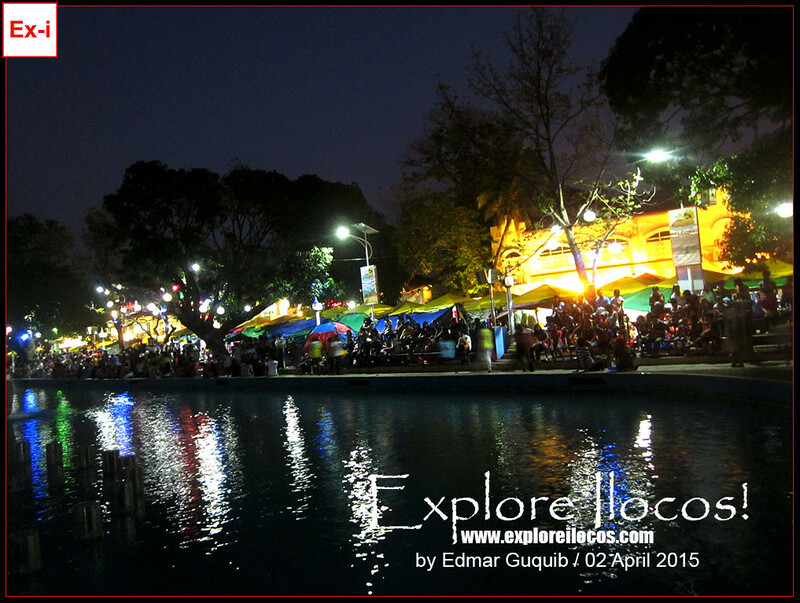 But for a Maundy Thursday, all the bleachers and benches around the man-made lagoon are already filled-up 1-2 hours before the show started. The present crowd will double or triple upon the start of the fountain show. Significant rise of crowd around this area is very evident too. 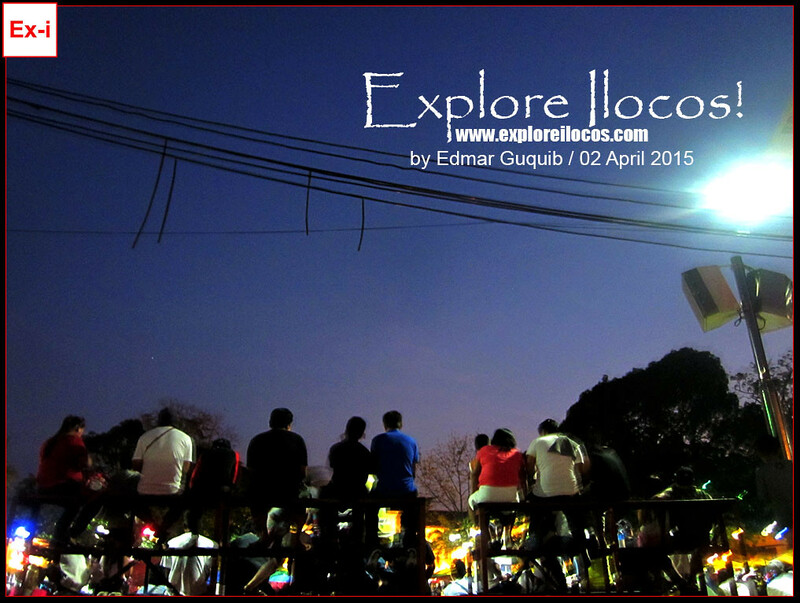 Below the elevated elliptical plaza are street food carts enjoying the ripe tourist market. 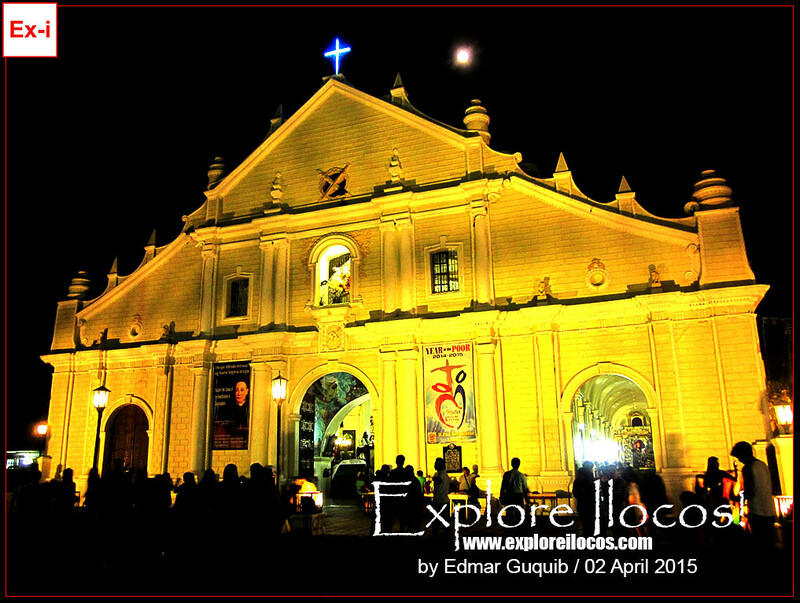 Compared with the situation last MARTES SANTO, the Vigan Cathedral now is densely visited by devotees. 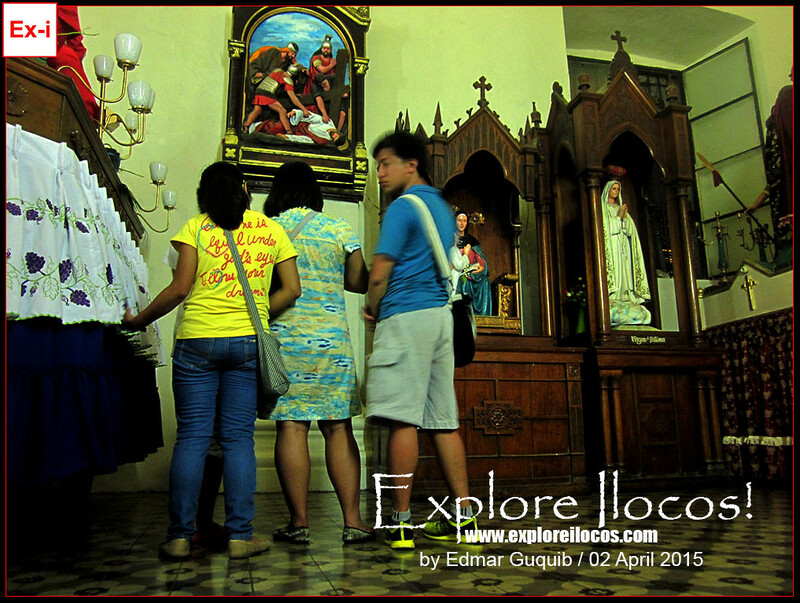 Tourists are flocking around while some are just having a solemn moment inside the church. 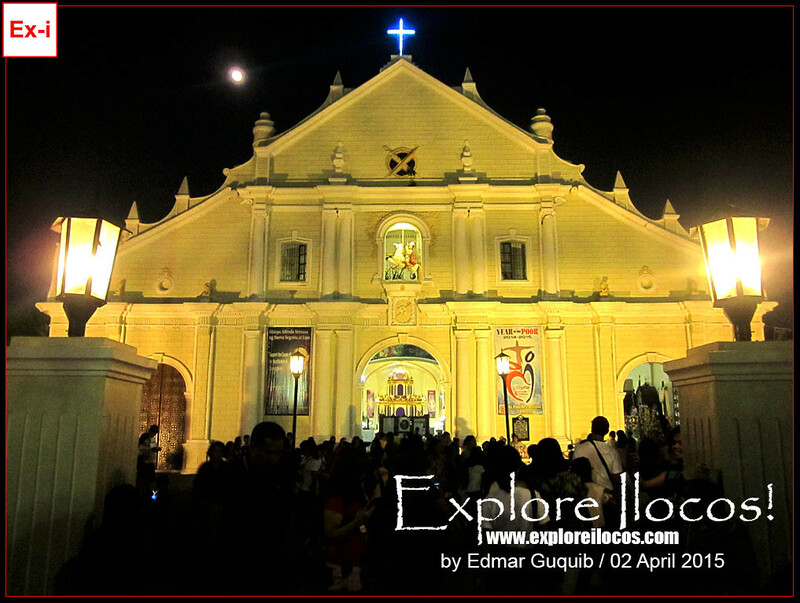 While most of the time the Vigan Cathedral is quiet after dusk on weekdays, the Holy Week is one of the exceptions wherein devotees are unstoppable. 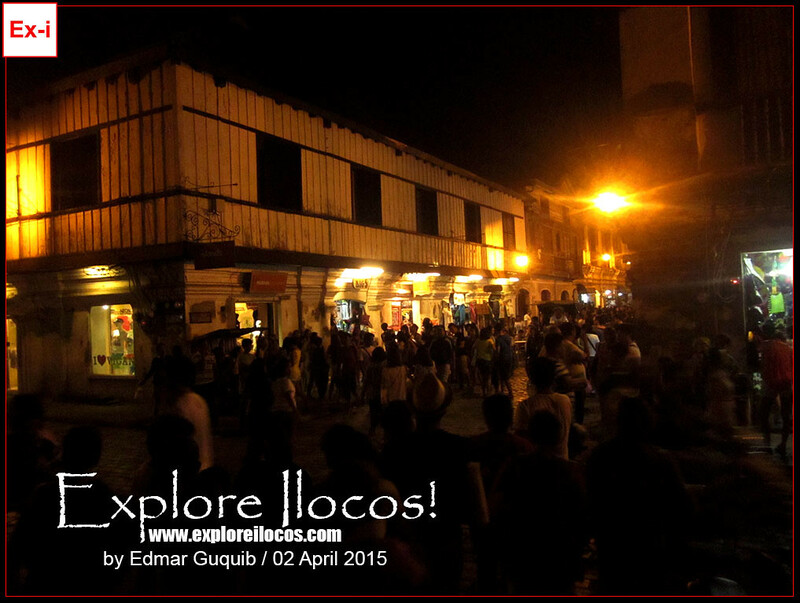 Calle Crisologo is expected to be the core of the tourist crowd. Owners of shops, cafes and restaurants are enjoying the fat market and rich pool of potential buyers. Restaurants like the Mang Inasal located along the historic Calle Crisologo is receiving countless customers ▬ significantly greater in number than usual. You may join the crowd to experience the Calle Crisologo frenzy: imagine a narrow street flocked by a thousand tourists. 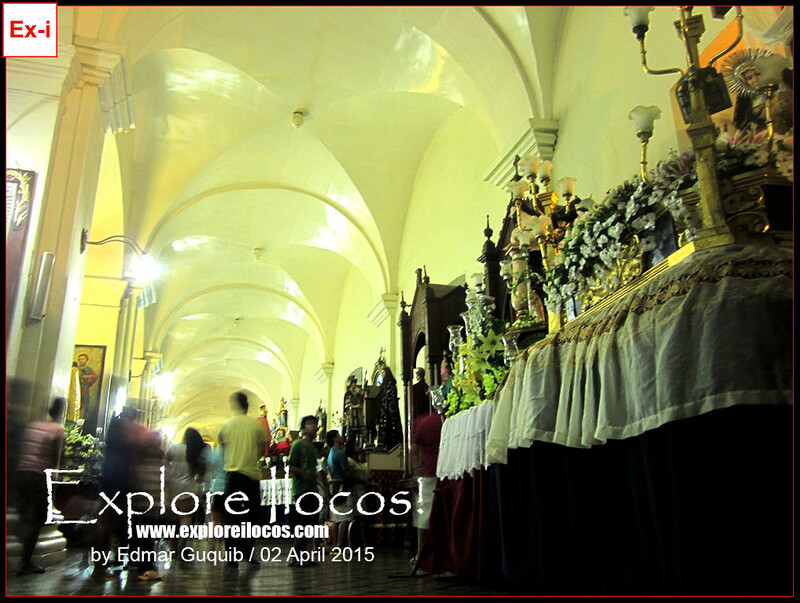 The foregoing are my commentaries and observations for the Maundy Thursday in Vigan. Have a blessed week everyone! Such a great stuff.....well done. Keep it up.